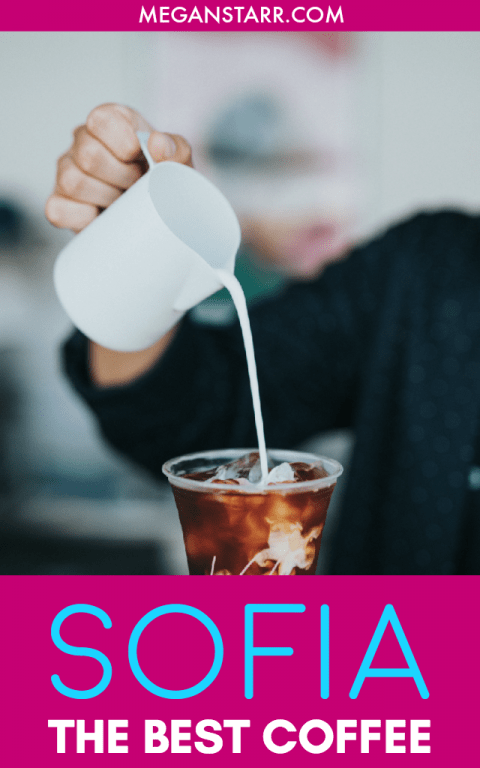 I was in Sofia this past March and before arriving, I had my heart set on creating a coffee guide to the Bulgarian capital. Once I arrived there, I actually ended up slightly hard-pressed to find enough cafes to put on the list. I pretty much went to the same cafe for the same coffee daily and was never given other cafe names by locals to test out. 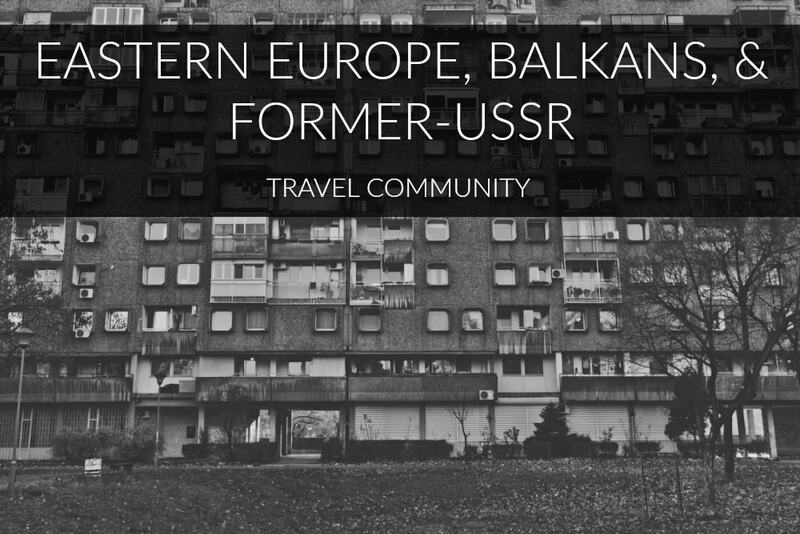 Fast forward to August and September where I actually picked up and moved to Bulgaria for my next ‘out of Schengen’ stint. I had big plans to travel around a bit and finally visit Budludzha, but eventually, I got too lazy to even do any of that. My revised plans were to stick around my apartment and just work from there on a daily basis. Once I arrived at the apartment, I realized that working from there wasn’t really feasible for countless reasons, so I took off to hunt down some cafes. 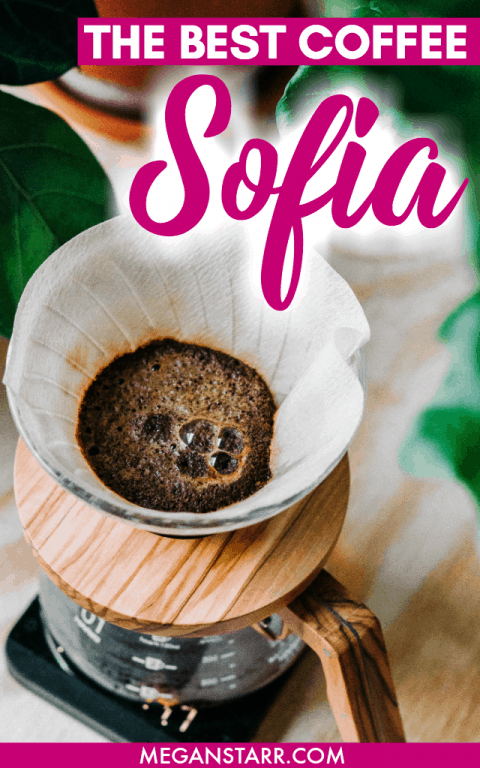 This guide will show solely the cafes I loved in addition to where to find the best coffee in Sofia, Bulgaria. If you have any further recommendations, please feel free to list them in the comments so I can check them out when I am back in the city next! 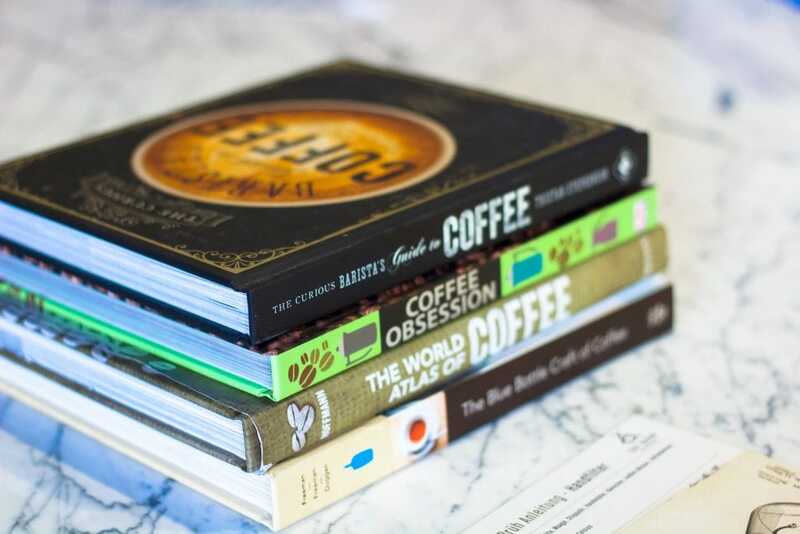 Before I get started, I should mention that I visited some of these cafes like thirty times. I was in Sofia over a month and I found my routine within a day. 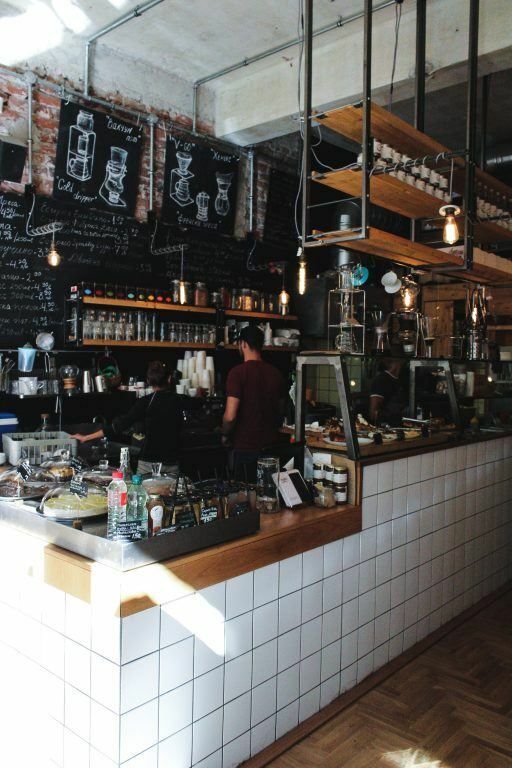 I never worked from home, but rather from some of these cafes. 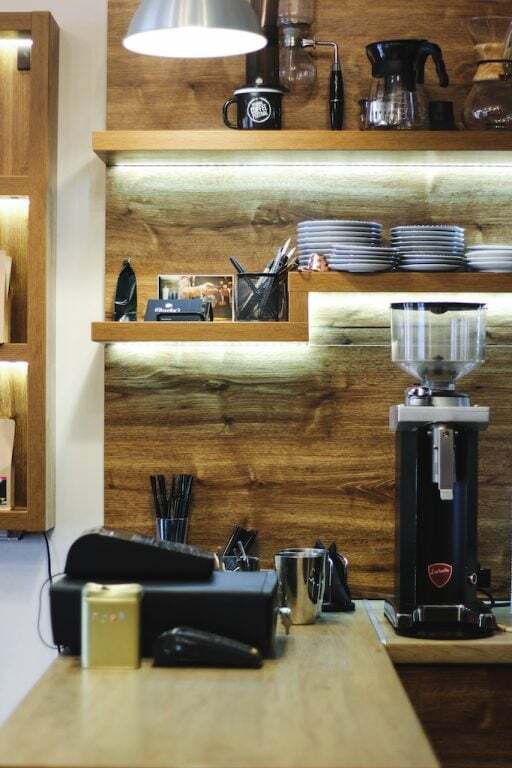 I would start at Baker Brothers for an hour or two, walk down a bit to Barista Coffee and More, and finish my day at about 10pm at Fabrika Daga. Without fail, this was my daily routine. I have never experienced so much productivity in my life in a city and I definitely have some of these places and the city of Sofia to thank! This is such a great hub for digital nomads or location independent creatives like myself. 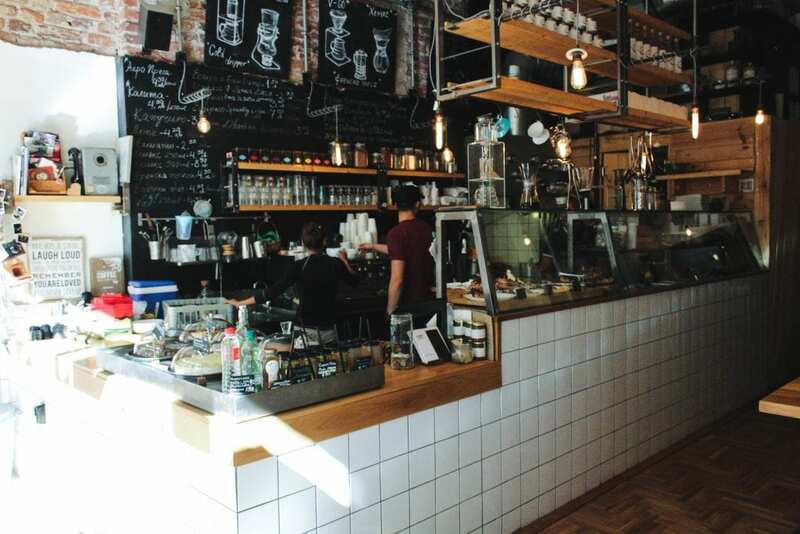 These cafes all have different perks (and one is one of the best places to eat in Sofia, in my opinion), but all offer good coffee (but some much better than others). Disclaimer: the photos below are poor quality. I never took photos in Sofia and when I did, I hadn’t realized I had my ISO cranked up until I uploaded these before leaving and it was too late to take new ones. Drekka is awesome. 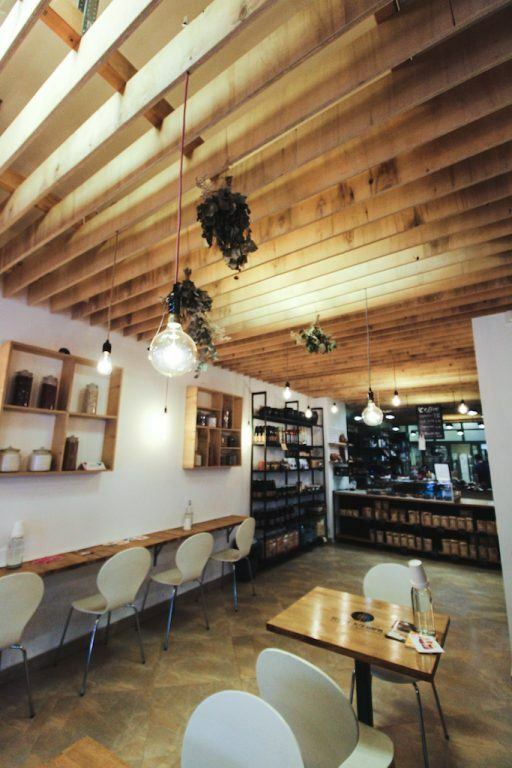 The cafe doubles as an accessories shop selling everything from Kalitas to a variety of artisanal teas. They were not around (that I know of) during my first visit to Sofia in March, but had opened and quickly earned a reputation for being coffee experts in the city. 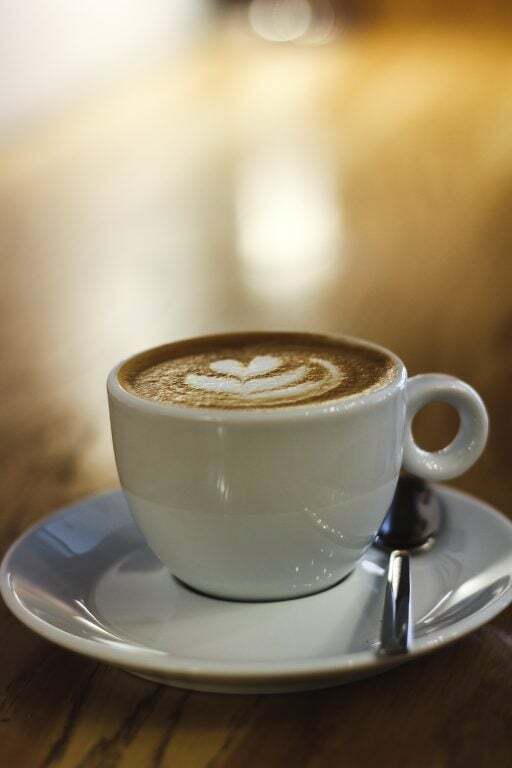 Since I had been traveling with my Aeropress and could make black coffee at the drop of a hat, I opted for a flat white and it was well-made and the beans from Taf Coffee (Athens, Greece) were exceptional. 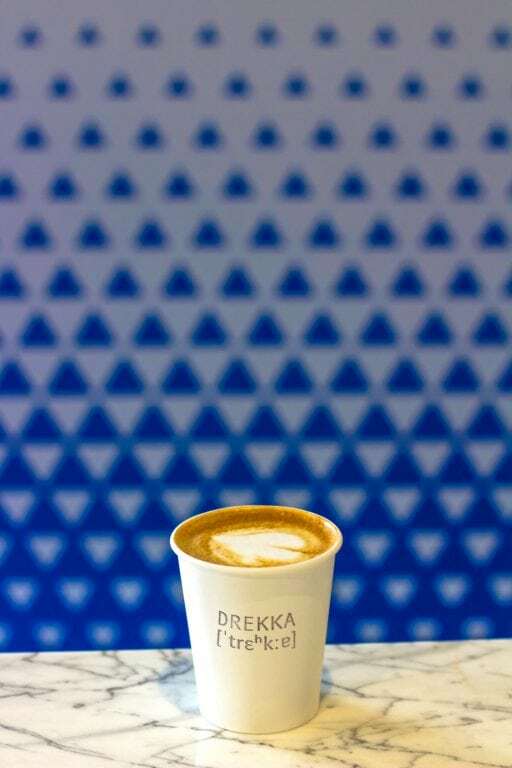 Drekka also offers loyalty cards to customers. While I was so thrilled to get a tasty coffee my first day in Sofia, I wasn’t able to get back to Drekka after my initial visit as it wasn’t a good space to work and I spent my days in Bulgaria working nearly 17 hour days, daily. The barista actually advised me of a nearby cafe that had good coffee but also provided a good working space and environment. I listened to his advice and that cafe ended up being one of my daily haunts. You can find Drekka at 60 Uilyam Gladston in Sofia. To find out additional information, please check out their Website, Facebook, or Instagram. Where do I even begin with this place? First of all, I heard raving remarks about it back in March. I tried stopping by and the place was so packed and I was feeling so claustrophobic that day after my flight, that I didn’t even venture inside of the establishment. No cafe could be that good. Or could it? 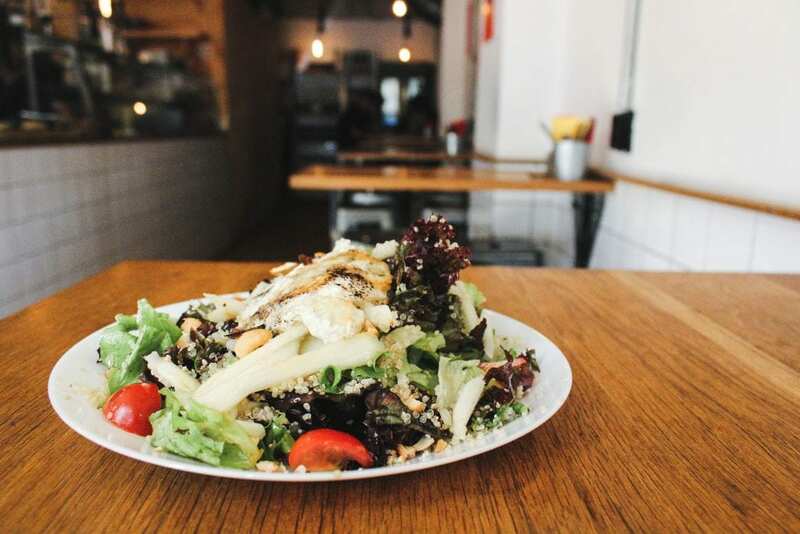 Fabrika Daga was one of the first places I checked out when I was back in Sofia after my week in Plovdiv and after one sip of their coffee and one bite of their goat cheese, pear, quinoa, and cashew salad, I knew I was going to be going there on a daily basis. And I did. I must have had that same salad 30 times there (I am salivating just thinking about it) and while I usually was coffee’d out by the time I went inside, they always provided me with palatable, local craft beer. They also carry some really amazing Bulgarian wines for the wine lover. Fabrika Daga actually means ‘rainbow factory’. The atmosphere was social, friendly, and everyone inside seemed happy. I never had a bad interaction with the staff and they all knew me by the end of my stint in Sofia. They knew my order and would chat with me as the hours dwindled away and I was the last person to leave the cafe almost every single night. Their menu is awesome. They have several salad options, which was a blessing for me as my kitchen in my flat was lousy and I never could cook anything more than ramen inside of it. They also offer a buffet on the weekends and while I never had it (I think my goat cheese salad had some sort of addictive substance in it as I never strayed too far from ordering it), it was immensely popular amongst locals and expats and the place becomes packed with hungry customers. 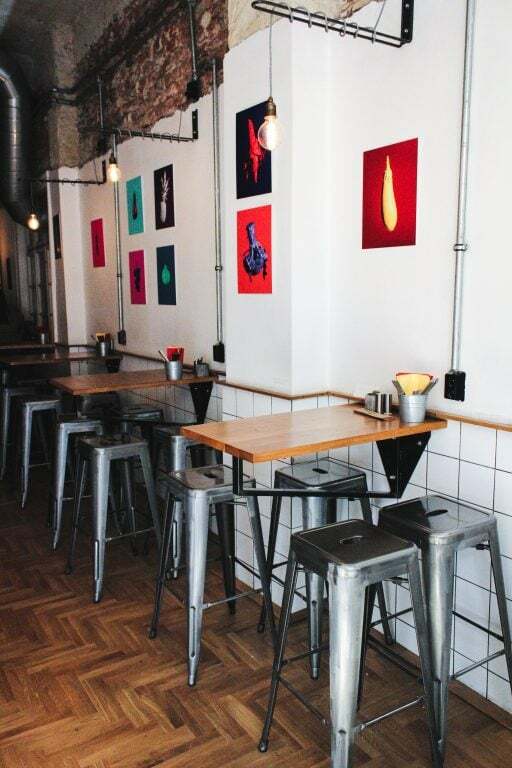 Perhaps the very best thing about Fabrika Daga is that they have decided that one location is not enough. The next time I am in Sofia, I will be able to visit Fabrika Daga 2! I put the location on the map above so you can check it out if you’re in that area of the city. Fabrika Daga can be found at Ulitsa Veslets 10 in Sofia. To find out more information, including their opening hours, check out their Facebook or Instagram. Remember how I mentioned I went to one cafe and one cafe alone the first time I was in Sofia? Well, this was that cafe. Having been in Timisoara, Romania for months where the coffee was pretty awful, I longed for a good cup of joe when I arrived in Sofia. I darted for Chucky’s and was so satisfied with the stuff, that I made this my ‘go-to’ coffee shop for the few days I was in Sofia that time. Unfortunately, I never made it back when I lived in Sofia as I was living in another area of the city and it was a pain to attempt getting to Chucky’s for me. The cafe is very small and practical. This is not the space to spend hours working as people are constantly coming and going to get that caffeine fix. Quick tip- if you’re into craft beer, there is a stellar craft beer shop next door owned by an Englishman from Manchester. This makes Chucky’s even better as you can get your caffeine and then cancel it out with a beer afterward. To sum things up, Chucky’s has some of the very best coffee in Sofia. Chucky’s Coffee House can be found at Hristo Belchev 29 in Sofia. To find out more information, including their opening hours, check out their Website, Facebook, or Instagram. Truth be told, I went here one of my first days living in Bulgaria in August. I had heard from a friend that they had really good coffee and had just opened in the city center. While their coffee wasn’t to my taste (we are all different and it doesn’t mean that they have bad coffee at all! ), I did find a cafe that smelled like chocolate (yes!) and offered a comfortable workspace. I worked from 2 Giraffes for a few hours that day and ordered multiple coffees. I never went back to the cafe once I discovered the places that later became my ‘Sofia routine’, but I can highly recommend this cafe if you’re looking for a practical place to work in the city. 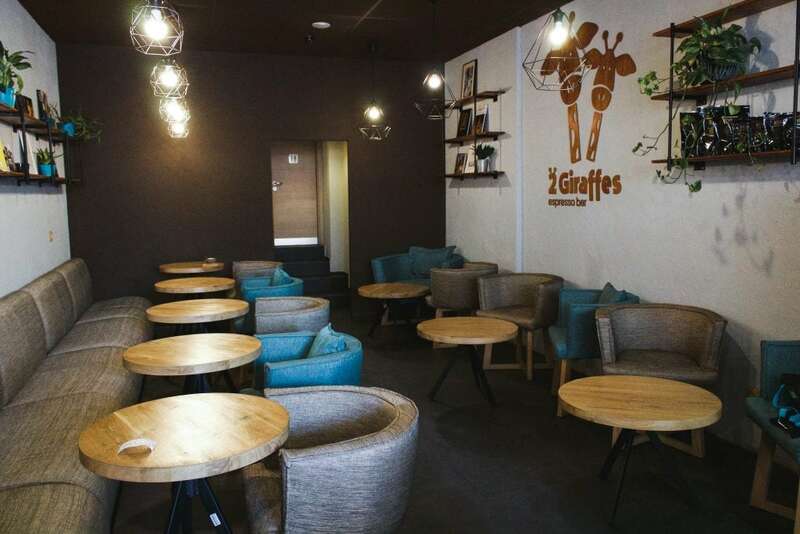 2 Giraffes can be found at Ulitsa Alabin 30 in Sofia city center. To find out more information, including their opening hours, check out their Facebook page. I must preface this by saying that I never actually got to Dabov when I was in Sofia. I did, however, enjoy their coffee as they were supplying beans to Fabrika Daga. It is not that I never tried to make it there, but it is more that I failed. The day I set off to finally try their cafe out, it was 37C (or 99F) outside. I was walking to meet a friend for Nepalese that evening and set off a couple hours earlier by foot to stop by Dabov on the way. This was all on the complete opposite side of the city than where I was staying and needless to say, walking in that heat (or walking at all) was an overly ambitious task. Next time. 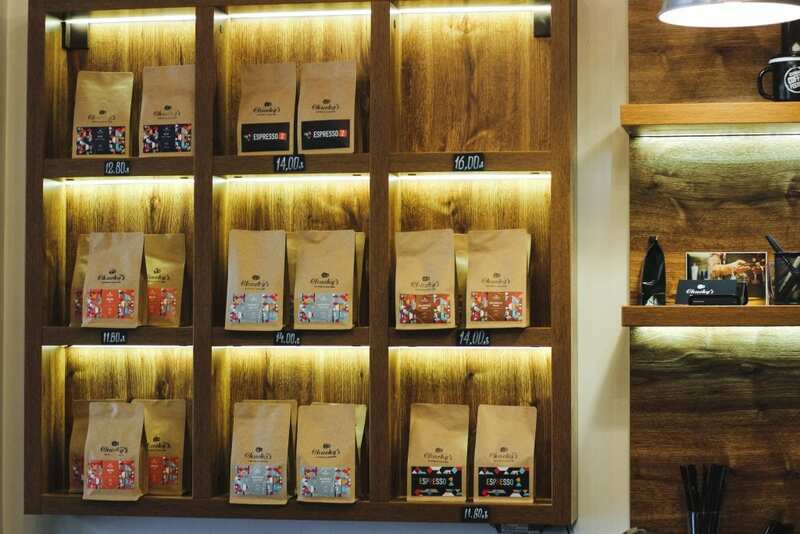 I have had their beans and they are renowned in Sofia for having tasty coffee, so check it out! 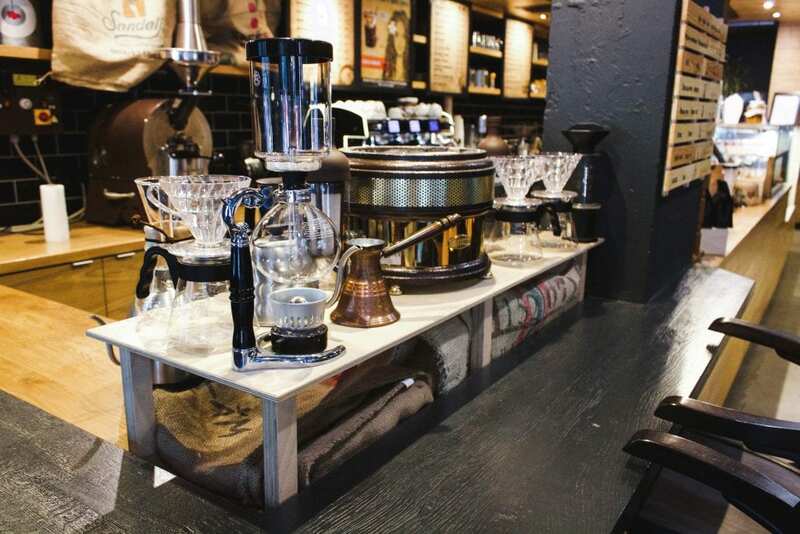 You can find Dabov Specialty Coffee at Ulitsa Lyuben Karavelov 58 in Sofia. To find out more, including their opening hours, check out their Website, Facebook, or Instagram. Above I made mention of a cafe that was referred to me via the barista at Drekka that would be excellent for a workspace. Well, this is that cafe. This was the place I worked at every single day in Sofia (there are a few of these places, but this is the place I spent the longest amount of time at). 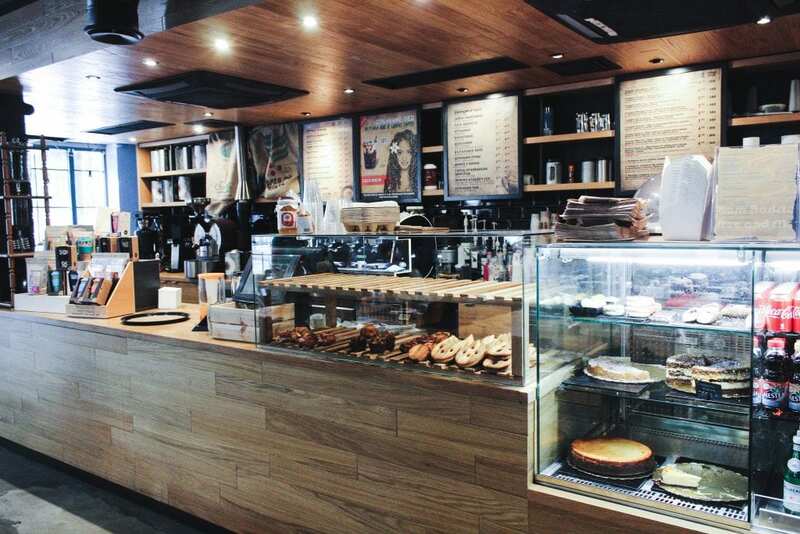 Words can not express how much I wish every city had a From Barista Coffee and More. I usually ordered a cappuccino upon arrival, took a seat a the long workstation area, and got to work. I surprisingly have no photos of the workstation area I am referring to, but trust me, this cafe is set up for remote workers and people who love coffee. 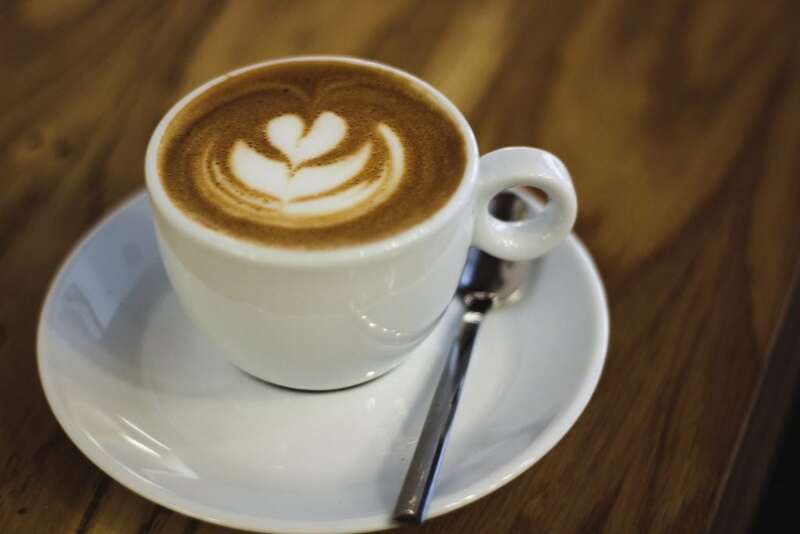 From Barista Coffee and More offers light snacks, baked goods, any type of coffee you could imagine, and a friendly atmosphere. I saw the same people in here on a regular basis and it was pretty inspiring. 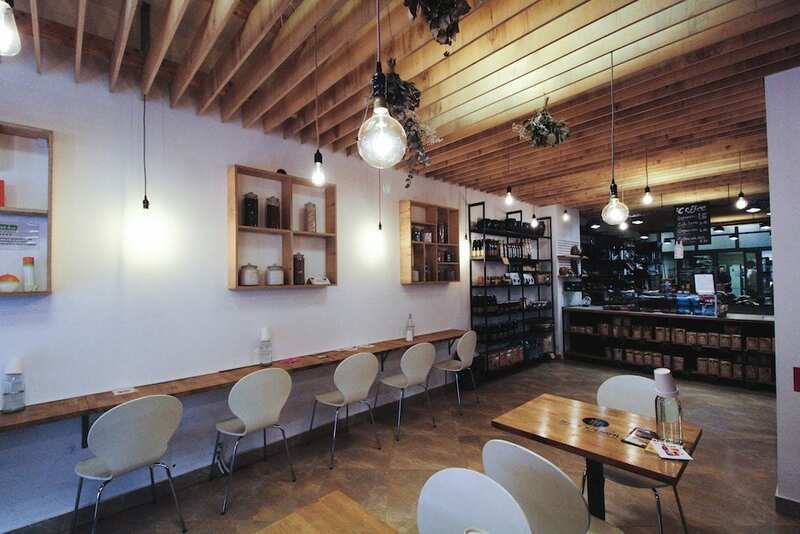 Aside from that long workstation table, there is a nice and quiet terrace and plenty of other seating inside. They also offer a public computer if you need to use it for something. One of my favorite services they offered was free printing. There is a printer at the workstation area and you are free to use at your own will. From Barista Coffee and More is actually located close to Fabrika Daga, so you can kill two birds with one stone like I did on a daily basis. 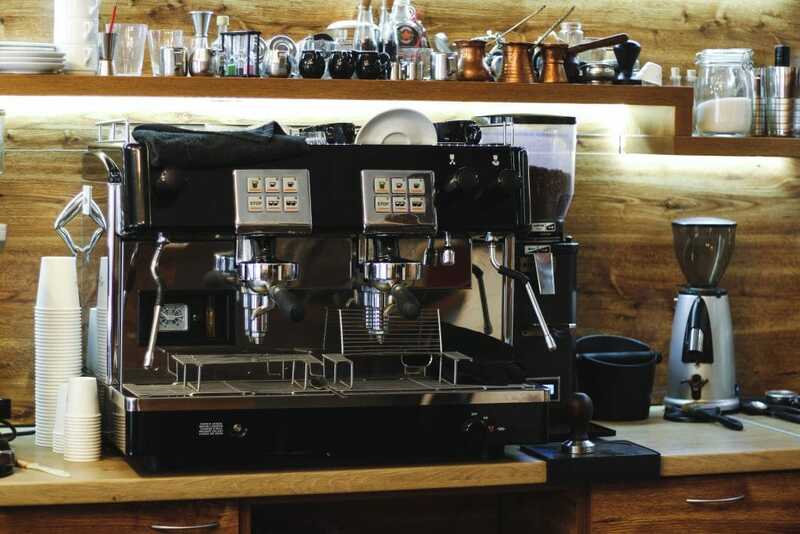 You can find From Barista Coffee and More at Ulitsa Bacho Kira 26 in Sofia. To find out more, check out their Website, Facebook, or Instagram. Their website shows better photos of the work area and they actually have a total of three locations in Sofia but I have only been to this one. I actually didn’t discover Baker Brothers until about a week or two into being in Sofia… but once I did, it became a daily regular for me. 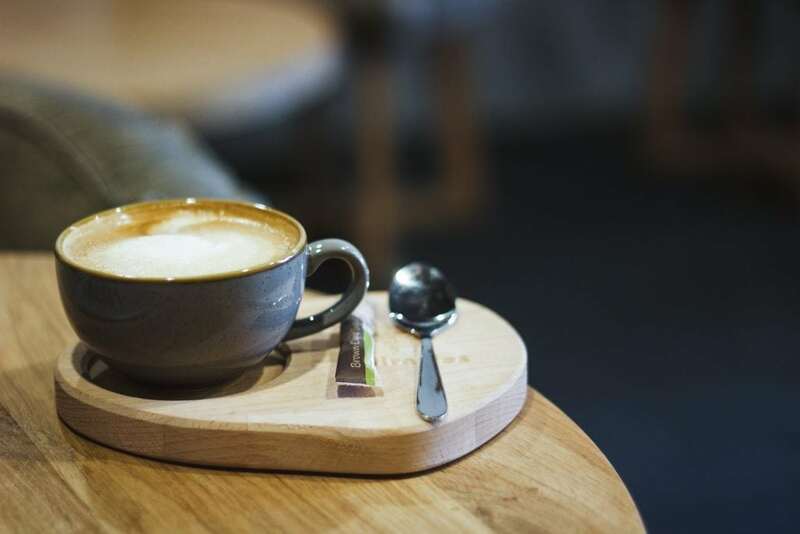 I would stop there first as it was closest to where I was staying, and then I would jaunt down to From Barista Coffee and More and Fabrika Daga. It is funny I stumbled upon this place because it was the same cafe that Allison at Eternal Arrival told me to check out, but I never could make the correlation between the Cyrillic and the English name (they have everything written in Cyrillic outside and I just never attempted to look at it). I wandered in due to the smell of bread. And am I ever glad I did. This cafe not only provides decent coffee and free wifi but they actually have the best bread I have ever tasted. Germans can rave on about how good their bread is, but if I put them inside of this cafe, they would take back their words instantly. It is SO good. I eventually started buying loaves and taking them back with me to make sandwiches… and I hate sandwiches. They also offer artisanal hummus (I would take home a tub of the beetroot hummus to pair with the bread), local cheeses, and craft beer. The gourmet products they sell were delicious every time I purchased one. But… their bread! I can’t stop thinking about it. I made it my daily mission to enjoy a goat cheese scone there and every morning it put a smile on my face. Anyway, you can easily work from, enjoy a solid coffee, and taste some of the best bread in the world there. 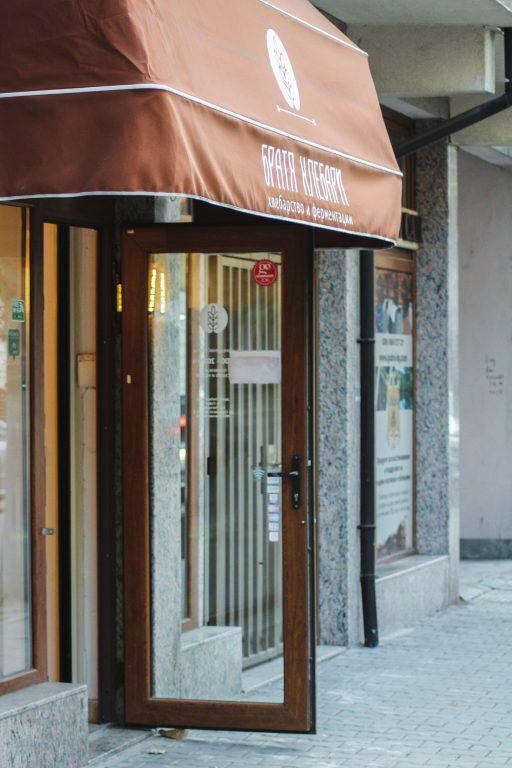 You can find Baker Brothers at Ulitsa Georgi S. Rakovski 44 in Sofia. To find out more, including their opening hours, check out their Facebook page. 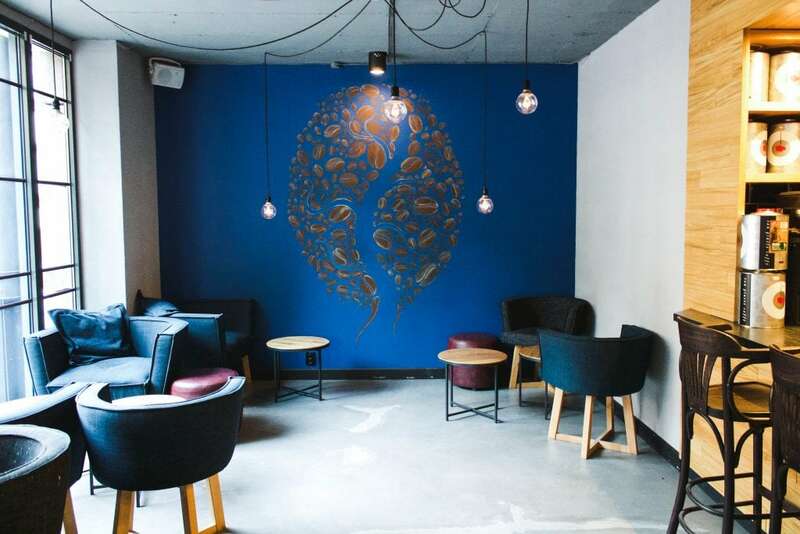 New cafes are popping up all the time in Sofia, so if you have any recommendations, please put them in the comments section. I also did not make it to many more cafes aside from these throughout my stay, so this list certainly isn’t exhaustive. Thanks! Thanks for the tips! I came across your site and found that my gf and I have the same tastes in coffee & craft beer as you when we travel in E Europe. Any good bars for craft beer in Sofia )or Plovdiv)?